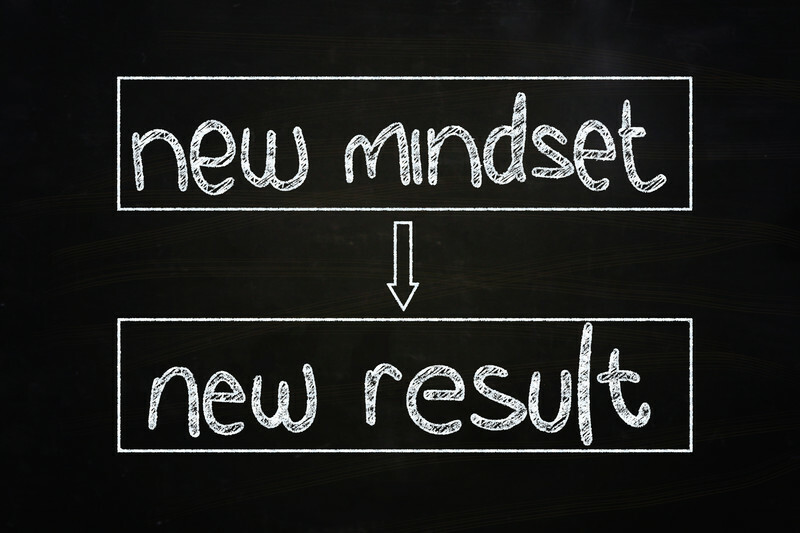 How the first 3 mindset factors – namely, purpose/vision, values and beliefs – either strengthen or undermine your leadership capacity to drive results through healthy accountability. his article series, click here. Let’s now look at the remaining 3 mindset components of your inner leadership game for building strong accountability and a high performance organization. Identity relates to your sense of who you are. It includes your perceptions about yourself; your strengths and self-judgments; and your roles. Your identity is mostly outside of your conscious awareness and is either your ally or foe in terms of how big of a game you play as a leader. The language of identity is expressed through the words “I am …” The words following “I am …” provide clues how you see yourself and what you most identify with mentally and emotionally. Empowering Identities: “I am resilient, charismatic, valuable, a change agent, etc.”Let’s take a look at specific examples how your identity shows up in your language – either verbally or in your self-talk. Having worked with hundreds of leaders, I have found that to what extent your identities either empower or disempower you in your role and your capacity to drive strong accountability, has to do with your relationship with power. To become a strong accountability leader, it is essential that you own your own personal power. You must develop an “at cause” mindset for all the outcomes in your role. You must develop a strong internal locus of control – ie., see yourself as a person who can control (or influence) your own success and destiny (rather than your outcomes being determined by outside circumstances or people). When you think of the word “power,” what negative associations do you have with that word? Do you equate power with force? How might they be different? In your daily leadership role, do you find yourself on the “cause side” or “effects side” of your results equation? Ie. do you feel like you can influence the outcomes in your life or that things and circumstances happen to you (aka Victim mentality)? A leader’s relationship with power determines to what extent a leader has the capacity to drive results through people, teams and the organization as a whole. Without a healthy, empowering relationship with power, your leadership and organizational performance will suffer and your greatest asset — your people – will be severely under-utilized. Every individual has their own unique internal motivation and attitudinal drivers. These drivers are the invisible forces that “pull” a person forward in a specific direction. These drivers also mirror how you are “wired inside.” That is, these patterns – uncovered through an online assessment – identify your thinking and decision making style, your primary motivators, your interest and focus filters, your relationship to time, change and even to norms and rules. These patterns predict as much as 70% of you, your team’s and your organization’s performance. Below are 2 examples of motivation patterns that serve you as either assets or liabilities in driving strong accountability. Keep in mind that there are no “best” patterns. They each have their own strengths and pitfalls. To keep it simple, the following tables cover only the pitfalls when an individual’s score is too high (not the pitfalls when a score is too low). Tolerance Let’s others do things their own wayHonors unique qualities of others Too much autonomyDifficulty holding same rules for everyone. When uncovering these patterns, the overall goal is to help a leader eliminate or minimize the liability patterns while creating more flexibility in thinking and behavior for optimum leadership results. Any patterns that are too high or too low will undermine a leader’s ability to drive best results through people. Our emotions are powerful, often unconscious, triggers that drive our behaviors, communications and state. To what extent emotions in your workplace either fuel your organization or destroy the spirit and cohesiveness of your company depends on how you handle and master your emotions in your role. First, a few basic principles about emotions important to increase your overall effectiveness as an accountable leader. Every emotion – no matter how positive or negative — is a powerful teacher, catalyst and mirror about yourself that, when used for change and learning purposes, can ignite your leadership growth at lightening speed. Denial or avoidance of your emotions does more harm to you as a leader than the actual emotions themselves. The truth is denying and/or avoiding your emotions – like fear or anger – only amplifies the emotion, keeps you stuck in habitual reactiveness, shuts down your rational thinking and destroys your ability to influence and lead your employees. The “golden ratio” in emotions can unleash leadership capabilities beyond what you can imagine. New findings show that you perform at your peak when you experience the “golden ratio” in emotions – ie., a 3 to 1 ratio of positive vs negative emotions. Not only is it unrealistic to try and be in a positive state all the time, it is detrimental to your leadership growth to not gain valuable lessons from negative emotions. Let’s look at 2 negative emotions that often get triggered in the accountability process and what those emotions are trying to teach you. Are you caught up in a blame mentality and not taking responsibility for your contribution to the breakdown? Are you a perfectionist and allow no room for employee mistakes or learning? Are you impatient or unrealistic in what an employee can achieve by a certain timeframe or given certain circumstances? If you experience anxiety or fear in the accountability process, how might either emotion mirror the following about yourself? Do you suffer from negative self-perceptions or lack self-esteem? Do you lack key accountability skills, such as effective delegation, follow-up and coaching skills? When holding others accountable, do you fear conflict? Does that fear drive you to take on the tasks yourself? Do you fear not being liked by your employees? 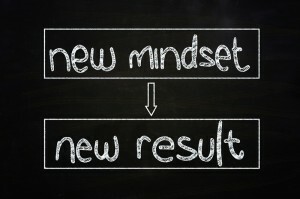 The ultimate goal in these 2 articles has been to increase your awareness how mindset factors are impacting your leadership effectiveness and your capacity to drive results through your organization. Stay tuned for part 3 of this article series to learn my top 10 leadership and culture practices for a strong accountability organization. An article you don’t want to miss! Posted by Denise Corcoran on August 23, 2013 in Accountability, Company Culture, Emotional Mastery, Employee Engagement, Leadership Development, Leadership Performance, Mindset, Organizational Performance, Organizational Transformation and tagged accountability in organizations, acountable leader, leadership, leadership confidence, leadership identity, leadership mindset, leadership patterns, leadership performance, organizational accountability, organizational performance.